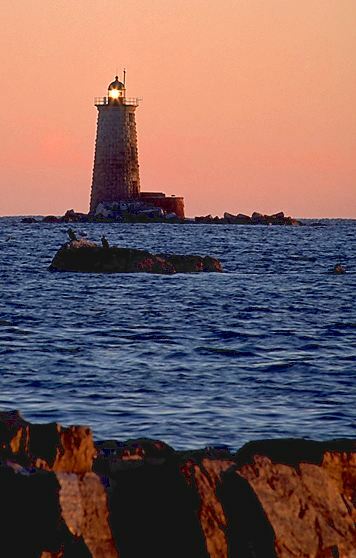 Whaleback Light is owned and operated by the town of Kittery, Maine. Sitting just offshore from Fort Foster, the light was positioned to protect the Portsmouth, NH harbor. The tower was constructed in 1872 of unpainted granite blocks topped with a fourth-order lens. Today the light shines a revolving DCB-224 airport-style beacon. The keeper's quarters are integrated into the tower. The best vantage point for viewing Whaleback is from Fort Foster Park.